Pressure Cooker Honey Mustard Chicken is a delicious meal that can be on your table in less than 30 minutes. 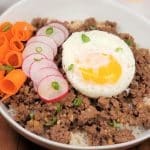 Add some Perfectly Cooked Pot in Pot Rice and make this a one pot meal! Oh, how I love Cracker Barrel’s Honey Mustard Fried Chicken Fingers.We don’t fry much in this house. I wanted to create something as good as the Cracker Barrel’s Honey Mustard Fried Chicken Fingers. Without deep frying, it’s nearly impossible. 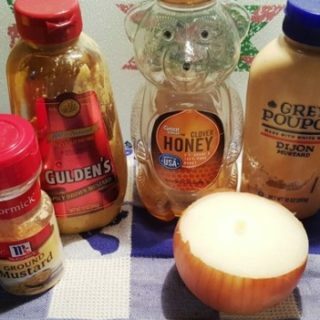 I thought, how about Pressure Cooker Honey Mustard Chicken with a really good Honey Mustard Sauce to pour on top? 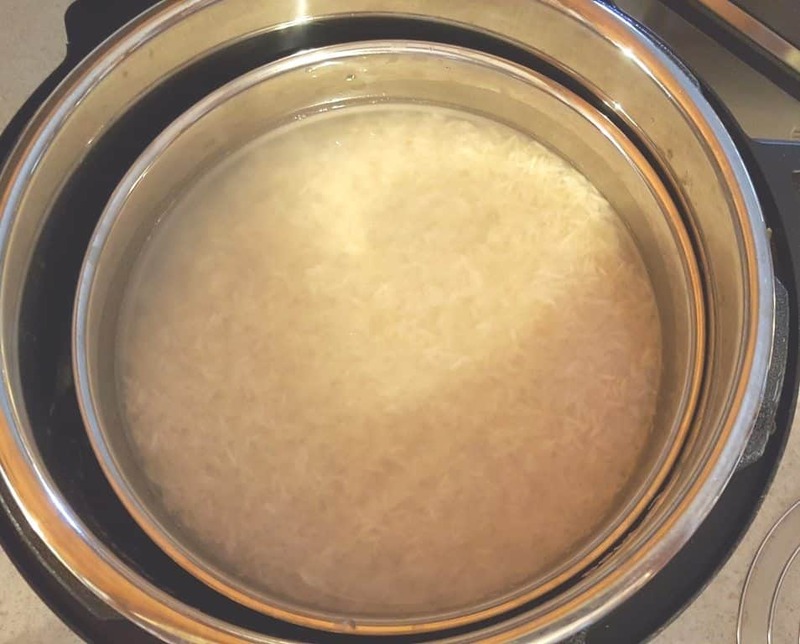 Let’s take this one step further and made some rice in the same pot using the Pot in Pot Method. Here are the instructions: Perfectly Cooked Pot in Pot Rice. It’ll have to do, for now, right? Well, once you taste how good this is, you won’t miss all that oil. I like using a variety of mustard to achieve a complex flavor. 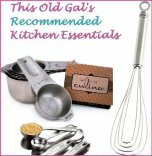 If you don’t have all the varieties listed, I will made notations in the Notes section of the recipe for substitutes and amounts. 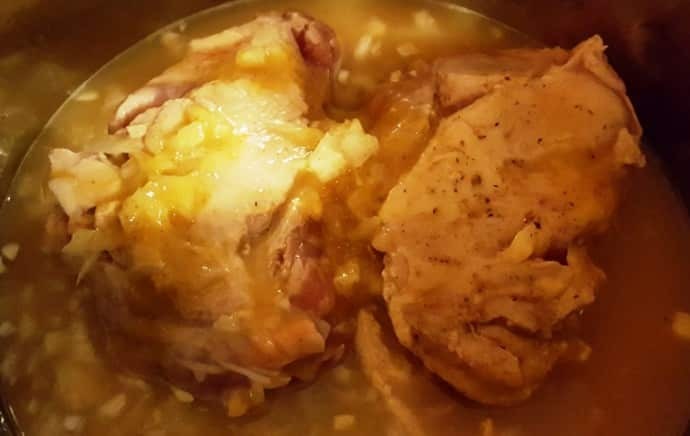 If you would like to cook your rice at the same time and in the same pot with your Pressure Cooker Honey Mustard Chicken, please check out my Pressure Cooker Perfectly Cooked Pot In Pot Rice recipe for step by step instructions. 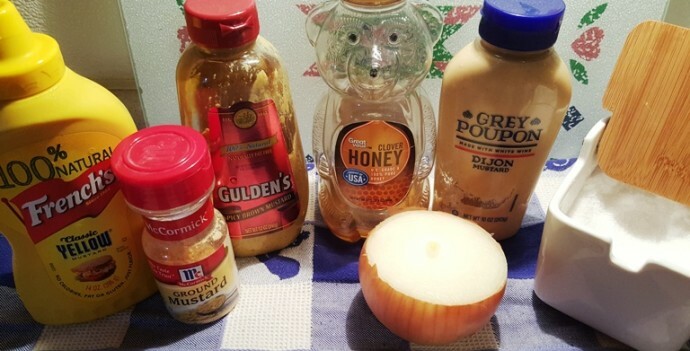 Turn this Pressure Cooker Honey Mustard Chicken recipe into a one pot meal! Whisk up the ingredients and taste a drop. If you feel the sauce is a tad too sweet, add 1/2 teaspoon of yellow mustard. Dice the onions as fine as possible. 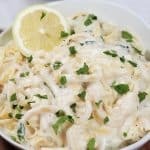 Place the chicken, onions and half of the sauce into the Pressure Cooker cooking pot and then pour in the chicken broth. I know many of you use your 1.5 Quart Stainless Steel “Pot in Pot” Bowl for Pot in Pot cooking. 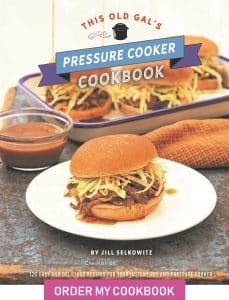 I prefer the Round Pressure Cooker Dessert Pans. The rice cooked more evenly and was totally perfect. Your rice will be perfectly cooked at the same exact time as your Pressure Cooker Honey Mustard Chicken. Fluff up the rice and plate your dinner. Using the reserved sauce, pour over the top or use as a dip. It’s not Cracker Barrel, but it is very good and much better for the heart. For a stickier chicken, try putting the pieces under the broiler for a few minutes. Serve with Pressure Cooker Mashed Potatoes w/ Glistening Sauce, Mushroom Risotto or Garlic Whipped Potatoes and a green vegetable, of course. 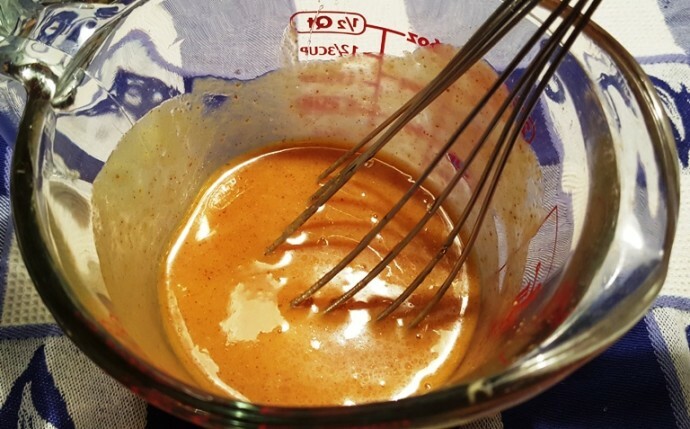 Whisk together, mustards, honey and salt until very smooth. Place chicken, onions, half the Honey Mustard Sauce and broth into Pressure Cooker cooking pot. If making this a One Pot Meal, add the trivet and Prepared PIP Rice pan now. Lock on lid and close pressure valve. Cook at High Pressure for 5 minutes for dark meat or 4 minutes for white meat. When Beep sounds, wait 10 minutes and then release the rest of the pressure. Remove rice pan and fluff the rice. Plate chicken and pour reserved Sauce over chicken. 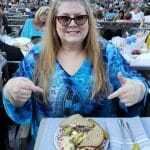 If you have Course Ground Mustard, substitute 1/4 cup for the Brown Mustard and Dry Mustard. 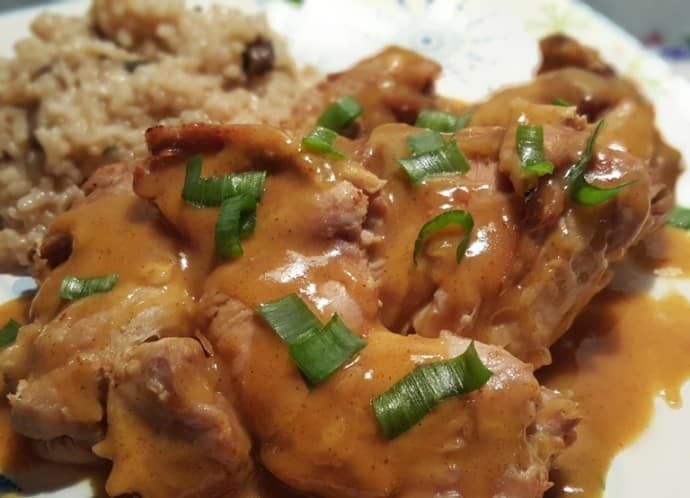 PIN this Pressure Cooker Honey Mustard Chicken! Have this in the Instant Pot as we speak. 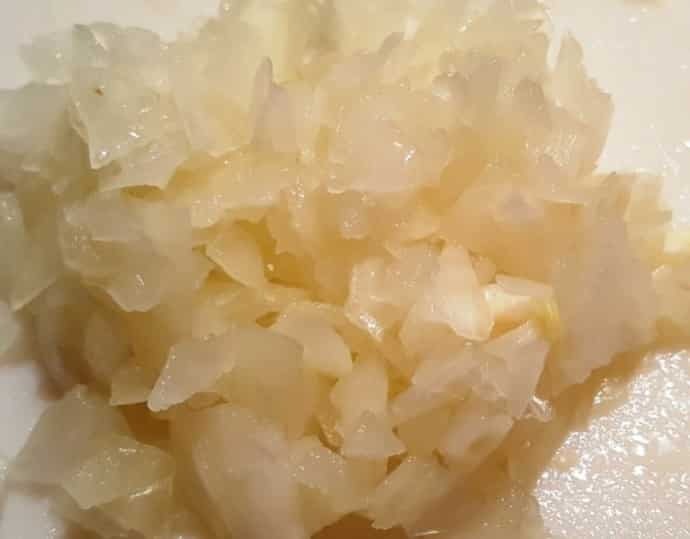 Did a saute of the onions plus a clove of garlic, and used while grain and dijon mustard. Smells devine, and I’m sure it will taste just as good! Thank you for your nice comments. Your adjustments sound delicious. Making this tonight. It says if making rice at same time, add more. Does that mean just put the uncooked rice on top of chicken? Hello! 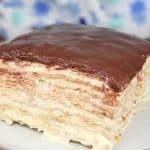 I am thinking of making this recipe for a large group, about 12 people. But I don’t know that 24 whole boneless/skinless chicken thighs in a 6 Qt Instant Pot will fit, so I think I will cut them up into chunks. Would I need to multiply the sauce ingredients by 3 as well? Or would you recommend more sauce? Also, would you change the pressure time for cut up chicken thigh chunks? Three times the amount of ingredients would be fine and the cook time would remain the same. Use 1/4 cup less water though. A VERY stoopid question here – do you cook with the top on the rice pan? Hi! How much time would you add for frozen chicken thighs? 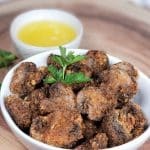 How much time would you cook for frozen leg quarters? LOVE it! It’s exactly what I was looking for. Sharing immediately. And thanks! Thanks for the info. I am going to get one. 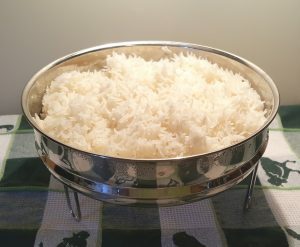 Great recipe and so easy with pot-in-pot rice. i”ll make this again for sure. I also like how easy it would be to change it slightly by changing the mustards used.